When it comes to referral incentives, gift cards are one of the most popular. 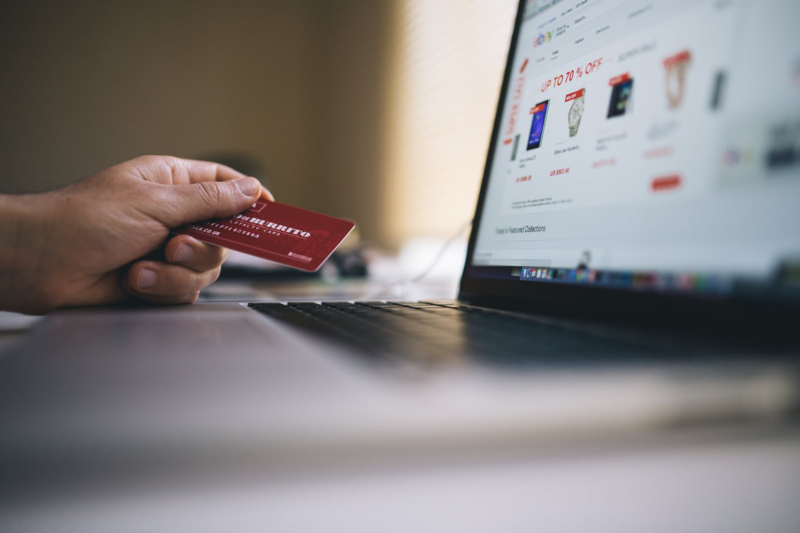 While it might be easier or simpler to just offer coupon codes or in-store discounts, handing out a card (physical or virtual) with a predetermined spend on it clearly has a certain appeal. But why? There are three big reasons why brands love giving out gift cards rather than mere codes, and they have nothing to do with the plastic. they ultimately incentivize your customers to spend more. With these benefits in mind, let's dive deeper into how to use gift cards to improve customer loyalty and retention. Research shows that 75% of customers spend an average of $38 more than the value of their gift card. Think about it: Even with what feels like “free money,” customers are still reaching into their wallets to spend their own cash. It's a win-win situation because customers buy something without spending a lot of their own money, and you get an added boost in sales. If you have a referral program and a product that people are excited about, you've got a recipe designed to get people to spend more—even if it means using some of their own money. Use gift cards as an incentive for referred customers, advocates, or both. they are curious about your product and want to try it because they've heard positive reviews. Use gift cards to reengage lapsed customers. You can send a reengagement email campaign to this group to remind them of what they've purchased in the past and include a list of similar products they might like. Offer them a limited-time, high-value gift card—like $50 or $100—for every referral who also buys something. As with new customers, reengaged customers can use the gift card to rediscover your products and buy more. To get customers to use their gift card and spend more, tailor your referral program to meet customer needs. For example, if you see good engagement and retention with advocates but want to improve acquisition, offer advocates credits or discounts, and offer referred customers a gift card. If customer loyalty drops, offer current customers a gift card to encourage them to come back and start shopping. Referral marketing works well because you're targeting people who are similar to your advocates. Since referred customers are 4X more likely to make a purchase based on a recommendation from a friend, chances are, advocates share the same interests and preferences as people in their network. These similarities help boost retention rates for referred customers—compared with non-referred customers—because your product meets their needs and resonates with them. Discount codes are a great way to attract referred customers and get them to use your brand. But where things get tricky is when these discount codes are forwarded beyond your advocates' network. You'll, of course, attract a lot of new customers. But let's say you're running a targeted campaign for a new product and want advocates to help you promote it through the referral program. Chances are the networks of referred customers are different from your advocates' network. You end up with lots of new customers, but they're only interested in making one purchase and don't intend to come back. Gift cards are different in that once they've been used, they can't be shared with another person and used again. So if you run a specialized promotion targeting specific advocates and their network, the analysis of your results is more accurate. For example, if you're an e-commerce business and sell fitness apparel let's say you decide to run a promotion for a new line. You plan to target advocates and the people in their network who'll be interested. 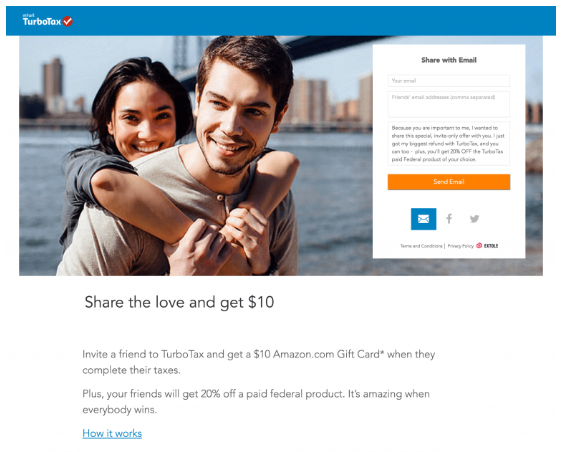 At the end of the campaign, your analysis tells you how many advocates took part, how many referred customers bought something using the gift cards, and what the retention rate of these new customers was. The last metric—retention rate—will be skewed with discount codes because these customers buy one thing and don't come back. They're not the ideal target audience. This isn't an indication of whether your new line resonated with them. This result shows they were likely more interested in short-term savings than in your brand. VISA gift card. These are like giving away cash because customers can use them anywhere. This is a great option if you have a product that customers purchase infrequently, such as a mattress. Instead of giving advocates a credit toward a future purchase, they can use their reward wherever it's most convenient—for instance, at a store that sells linens for their new mattress. Partner company gift card. These cards come from companies like Starbucks and Amazon. Offer gift cards based on where your target audience spends the most time—online and offline—and on their interests. Advocates and referred customers are more likely to want to take action if your referral incentive is something they value. Branded gift card. These are gift cards for your brand, and they incentivize advocates and referrals to purchase your products. That's why these gift cards are a good way to improve customer retention: They get advocates and referred customers to keep coming back. Is it time to adjust your referral incentive? One major benefit of using gift cards is that regardless of the type you choose to use—VISA card, third-party partner card, or branded card—they can be used in both brick-and-mortar and online stores. This makes it easier for you to cater to more people within your target audience. Run tests to see which combination results in the highest retention rates. For example, test who receives the gift cards, what denomination you offer, and what type of card you give. 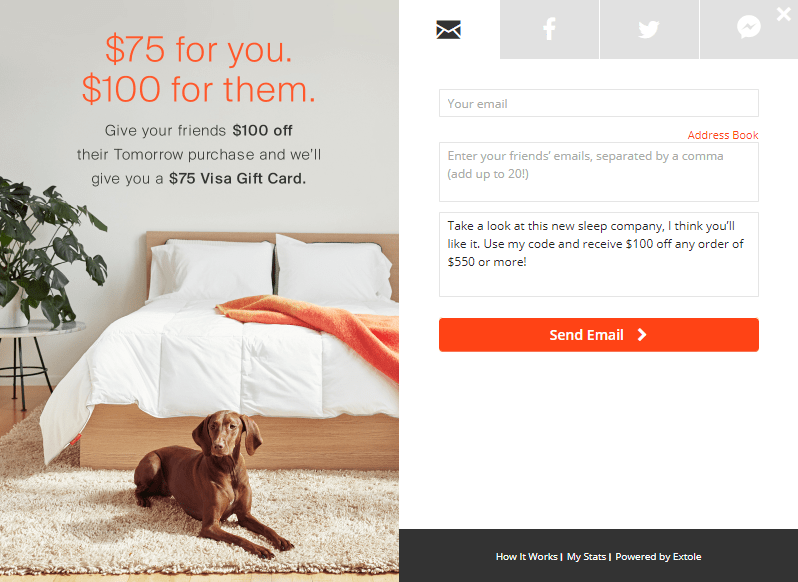 You can even test what other types of referral incentives work well with gift cards. You can offer advocates a credit for a future purchase to help with retention, and you can offer new customers a gift card to get them to spend more. The great thing about referral programs is that they're flexible. Figure out what combination of variables keeps customers coming back, and then stick with it.